No is the time to get started on your path to a healthier you! We have developed a weight loss protocol that does more than offer a product. We have designed a plan that provides you with resources needed for the best opportunity to change your health that is sustainable. Most people expect pills or surgery to correct weight gain and/or improve health by the reduction of risk factors for chronic diseases. One big thing to correct our weight and health issues are changes in life style. A good cleanse and detox will go along way to help someone lose weight, however, the hard part is keeping it off. The reason for failure is most often due to not changing dietary habits. We continue to consume the wrong foods, foods that work against healthy weight and foods that cause inflammation. This program is designed to give you the best products to support you as you loose weight. It gives you time to make the changes in diet and food long enough to establish a sustainable habit. This gives you the best chance to loose weight and keep it off while the new habits will improve overall health by potentially reducing risk for chronic illness down the road. We have 3 levels, or programs, as part of our weight loss protocol. Level one is the Cleanse & Detox Program, which is a 14 day program. This program will potentially start your weight loss, from 5 to 15 pounds, and most importantly it will provide your body the support it needs to flush out accumulated waste and toxins. Level 2 is designed to provide products and support for continued weight loss. Products are added to this level to help increase the metabolic rate, decrease carbohydrate cravings, increased utilization of fat for energy, and other benefits to improve overall health. Level 3 is our maintenance program that helps you maintain weight loss while you are still working on creating new healthy habits. You may be the person who reaches your weight loss goal during the cleanse or detox, but have not had enough time to establish sustainable new habits. Level 3 provides the nutrition while you are getting used to overall good dietary choices and need more time to establish them into habits. This protocol is designed for shakes twice a day with 1 regular meal per day. The regular meal is of course very important and we help direct you the right choices for better chances of success in reaching your goals. You will receive supporting documents with your order which explains the plan and you will receive patient education material for every product in the program as well. 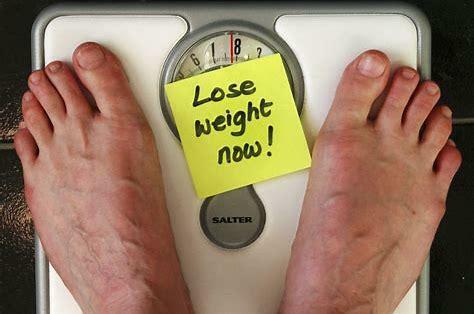 Please call us at CPT and talk to one of our pharmacist if you have any questions concerning our Weight Loss Protocol. There are anywhere from 20% discount to a 25% discounts depending on your order. Please talk to us to see what your goals are and see how we may can help you get on track for potentially better health with sustainable weight loss. We can ship this to your front door with free shipping any where in the United States. Call us at 251-626-2820 or toll free at 866-591-6337. You can also click on the "Learn More" button below to schedule a consult. Get 2019 started on the right path to better long-term overall health.